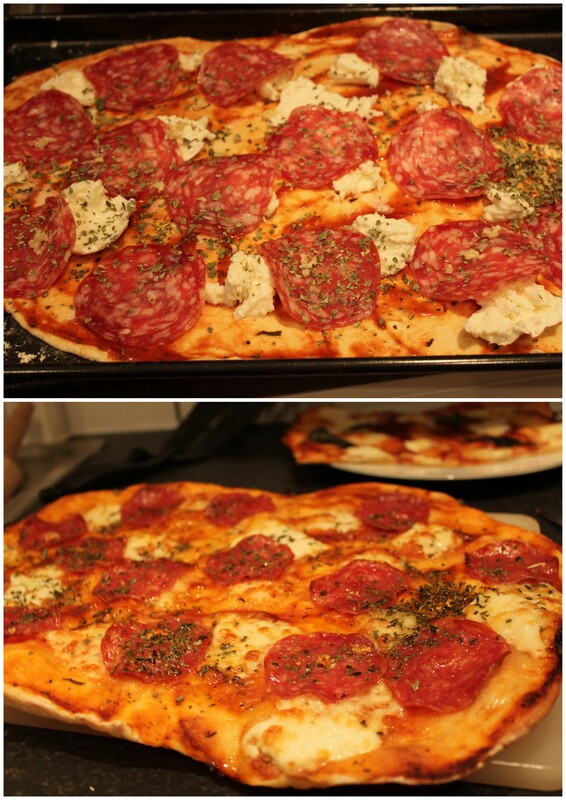 I love homemade pizza and have used the same recipe for years. It is very good but doesn’t feel all that authentic. So it was time to try something new, a real Italian recipe. It is a very simple recipe but quite different in texture compared to the other one. 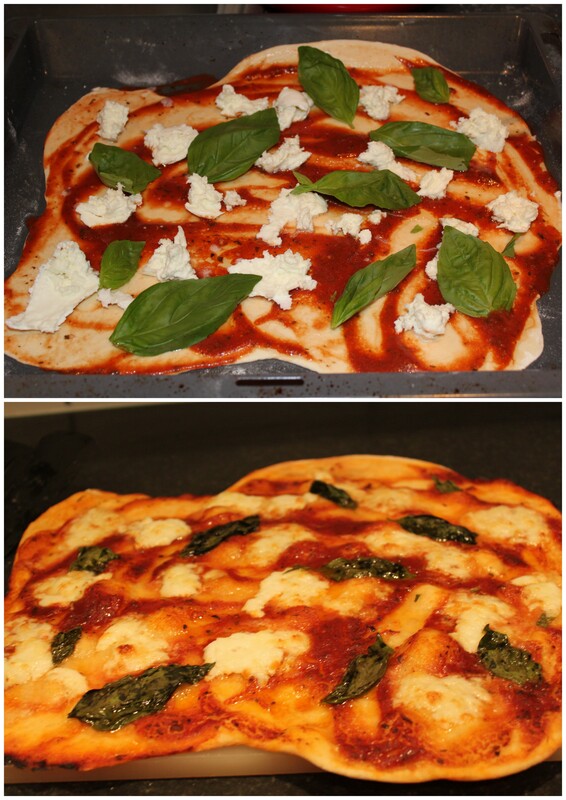 The strong 00-flour makes it very easy to shape the pizzas, or roll them out if you prefer. The bases also go really crispy in a regular oven on a regular (cold even) baking sheet. Mix all the ingredients in a non-stick sauce pan. Bring to the boil and let it reduce (boil down) and thicken while stirring. Leave to cool. Roll out the dough and drizzle some olive oil on it. Spread out the tomato sauce. Shred the mozzarella into chunks and place on the pizza. Add some basil leaves. Another drop of olive oil and put it in the oven on 225C, middle to low oven for 8-10 minutes. 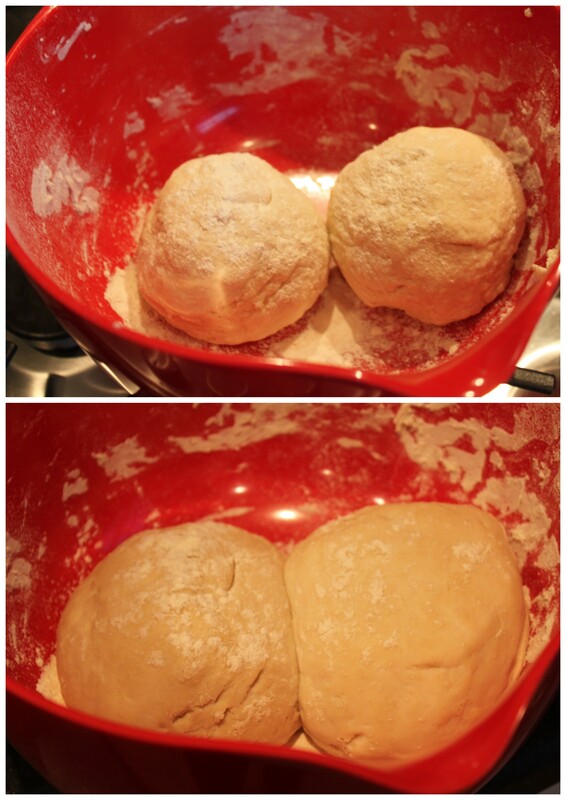 Roll out the dough and drizzle some olive oil on it. Add the tomato sauce and spread it out. Shred the mozzarella into chunks and place on the pizza. Add the slices of saucisson. Distribute the garlic and sprinkle oregano on top. Put it in the oven on 225C, middle to low oven for 8-10 minutes.